Or I guess the Magic's money. Are you serious bro!? 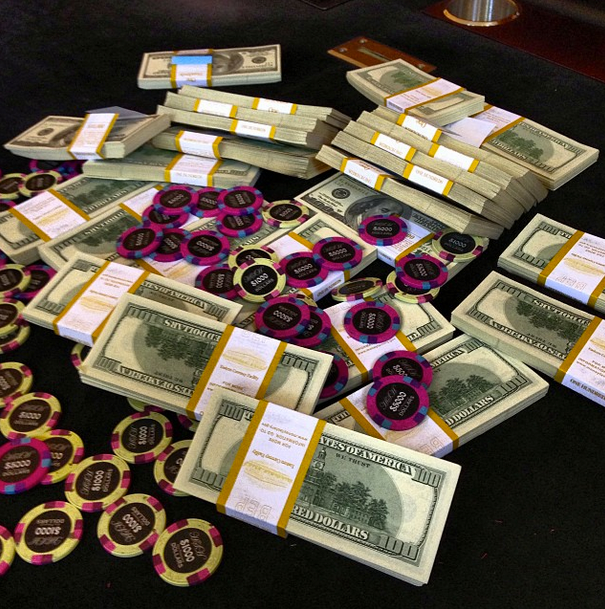 Gilbert instagrammed this picture of his money & chips on the table at a casino. The rest of Gilbert's Insta involves terrible memes, videos of him hitting jump shots in a gym, and admissions of him breaking the law. Woo ha, maybe if his house sells (recently lowered to under $3 Million) he can put it all on black.